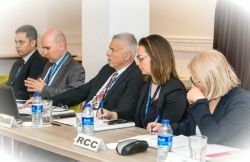 Romanian General Inspectorate of Emergency Situations (IGSU), Ministry of Interior of Romania, hosted and chaired the first biannual DPPI SEE regional meeting in 2017. 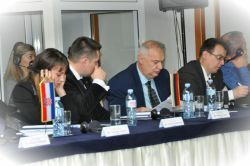 Over the course of the two consecutive days, the DPPI SEE members discussed and reviewed the progress achieved through implementation of the annual work programme of the Initiative in the period November 2016 - April 2017, while building upon the outcomes of the 33rd DPPI SEE regional meeting held in Sarajevo, Bosnia and Herzegovina, on 15 - 16 November 2016. 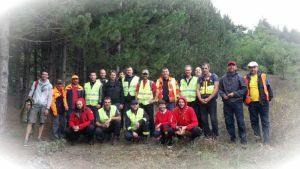 The field exercise RO-MODEX 2017 was hosted by IGSU (General Inspectorate For Emergency Situations of Romania) and was organized in a Consortium with National Centre APELL for Disaster Management, State Rescue Fire Service, Latvia (SFRS), Austrian Red Cross (ARC), Protection and Rescue Directorate of Macedonia, General Directorate for Civil Security and Crisis Management of France and United Nations Environment Program (UNEP). 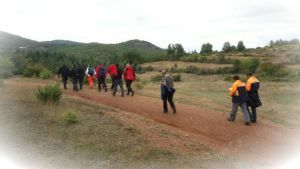 The aim of this exercise was to give the opportunity to EU civil protection modules and teams to have a functional full-scale exercise at European level according to Union Civil Protection policies and procedures aimed to enhance knowledge on: interoperability, safety and security, self-sufficiency, procedures, coordination and learning opportunity. 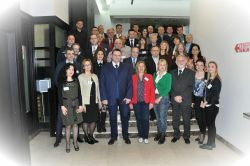 The seminar was hosted by the Sector for Emergency Management of the Serbian Ministry of Interior and represents Serbian contribution to the DPPI SEE Disaster Management Training Programme for the year 2017. The event was organized with an aim to raise awareness on importance of continuous improvement of preparedness at local level for an efficient response to emergiences, by strenghtening the countries’ institutional and individual expert capacities for implementation of emergency plans as well as through provision of equipment and frequent trainings. Target Audience were professionals engaged in awareness raising on the seminar topic as well as the SEE civil protection experts responsible for development and monitoring of the impelmenation of national emergency response plans. 39 persons attended the seminar, out of which majority from Serbia and 16 participants from Albania, BiH, Bulgaria, Macedonia, Montenegro and Slovenia. The event was hosted and organized by AFAD (Republic of Turkey Prime Ministry Disaster and Emergency Management Authority) with an objective to facilitate better understanding of DRR in the scope of “Safe School” initiative and illustrate the role and interoperability of different stakeholders (Ministries of Education, Disaster and Emergency Management Authorities of the SEE in application of DRR measures in a safe environment (e.g. schools). The purpose of the two-day discussion platform was to provide the opportunity for information and experience sharing on DRR activities undertaken / to be undertaken under the “Safe School” Initiative. At the same time, by visiting an educational institution in the scope of “Safe School”, the event allowed participants to observe if the objectives of Hyogo Framework for Action (HFA) and Sendai Framework for Disaster Risk Reduction (SFDRR) had been achieved. 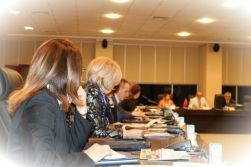 Republic of Slovenia (Administration for Civil Protection and Disaster Relief, ACPDR) chaired the 2016 autumn session of the DPPI SEE regional meeting in its role of the DPPI SEE Chair-in-Office for the year 2016. 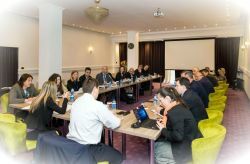 Over the course of the two-day meeting, the DPPI SEE member countries reviewed the progress of implementation of the annual work programme of the Initiative, notably in the period April - November 2016 while building upon the outcomes of the 32nd DPPI SEE regional meeting held in Portorož, Slovenia, 5 - 6 April 2016. Within the closed session of the meeting, the DPPI SEE member countries discussed and agreed on the next steps in regulating the DPPI SEE host country arrangements and preparing for the DPPI SEE Secretariat staff elections 2017. In addition, the countries re-confirmed their sustained commitment to the DPPI SEE project implementation (Disaster Management Training Programme - DMTP, Joint Emergency Response Units in case of Floods - JERU) and agreed on the annual work plan for 2017. 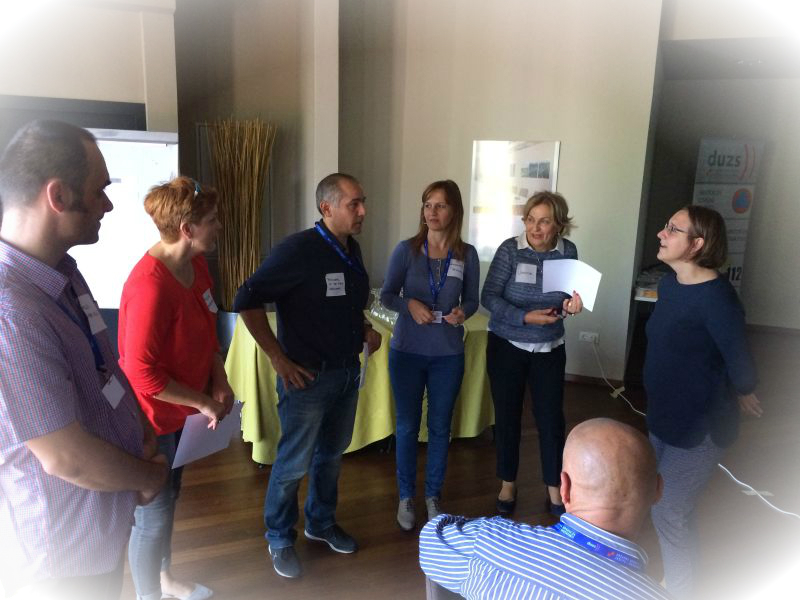 The course was hosted, organized and facilitated by ACPDR (Administration of the Republic of Slovenia for Civil Protection and Disaster Relief) in cooperation with NPRD (National Protection and Rescue Directorate of the Republic of Croatia). The course provides in depth orientation on disaster risk reduction concepts and guidance, including the Sendai Framework for Disaster Risk Reduction, as well as understanding of the key aspects and activities of response and recovery. The course also guides and enables participants to prepare a DRR related group project proposal during the course to be presented at the end of the course. Establish a common understanding of the tenets on which lie the foundations of disaster risk reduction (DRR). Develop a better understanding of preparedness, response and recovery as integral to disaster risk reduction. 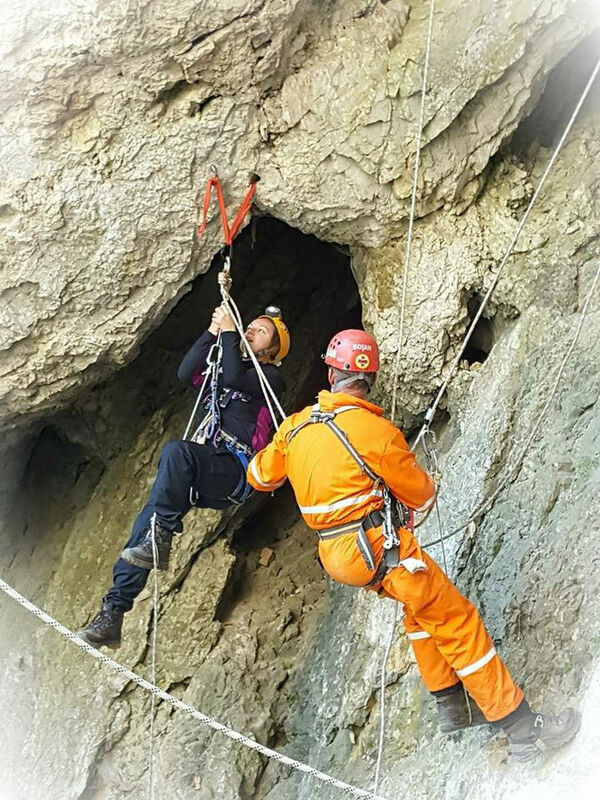 This training was hosted by the Administration of the Republic of Slovenia for Civil Protection and Disaster Relief (ACPDR) within the DPPI SEE Disaster Management Training Programme 2016, and was co-organised/managed by the Slovenian Canine Associations (SCA) and the Association of Rescue Dog Handlers of Slovenia (ARDHS). 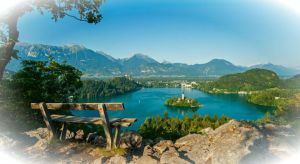 The training is certified by the Minister of Defence of the Republic of Slovenia. 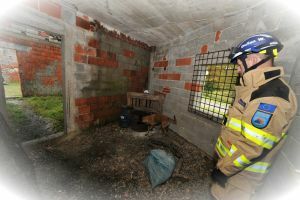 The target audience were dog handlers with rescue dogs, who are assigned to units for the search of missing and tapped persons, or who, after such training, will qualify for such units in the future, as well as representatives of civil protection and other organisations associated with search and rescue. Prior knowledge was not required. 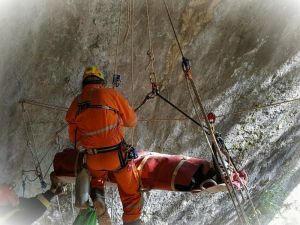 The training was a joint contribution of Romania and Slovenia to the Disaster Management Training Programme (DMTP) 2016 and was co-organized by the General Inspectorate for Emergency Situations of Romania (GIES) and the Administration of the Republic of Slovenia for Civil Protection and Disaster Relief (ACPDR) and supported by the Cave Rescue Romania (SALVASPEO) and Cave Rescue Service of the Republic of Slovenia (CRSS). 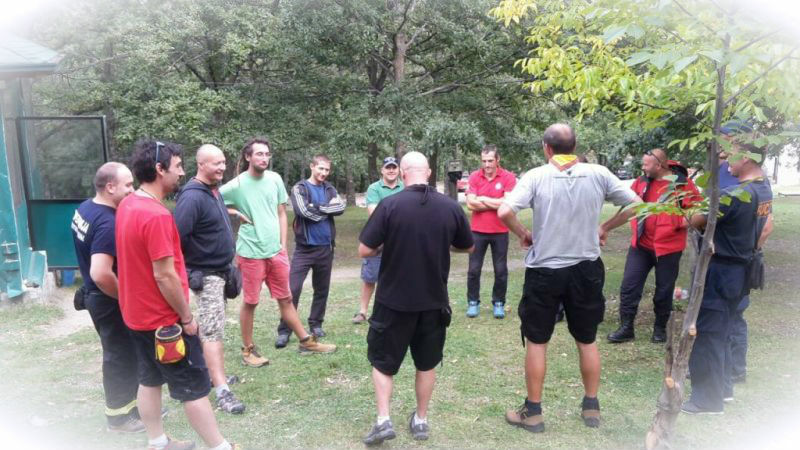 The training was hosted by the Macedonian Protection and Rescue Directorate within the DPPI SEE DMTP 2016 and co-organised/ managed by the Macedonian Scout Federation. 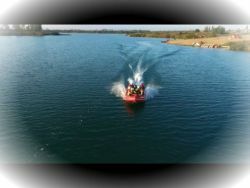 Specific objective of the event was to connect civil protection administrations and civil society organizations while demonstrating ways to build mutual understanding, support and cooperation in the area of search and rescue operations in the nature. Through a set of interactive workshops participants had an opportunity to learn and further develop various survival techniques and to participate in a simulated crisis situation in the nature.